Triphala (“three fruits”) is a staple of Ayurvedic medicine utilized mainly for gastrointestinal health. A natural anti-inflammatory laxative that gently promotes internal cleansing. Triphala has been shown to enhance and improve digestion. Many people report being able to rid constipation and relief gas after the first supplementation dose. Triphala supplementation can also improve immune system health, cardiovascular health, reduce bad cholesterol, and detoxifies while simultaneously strengthening the body. Triphala is a combination of three tropical fruits, each one playing a critical role in Triphalas effectiveness. Amla is high in vitamin C, linoleic oil, and several key nutrients. Harada contains the natural gentle laxative, astringent, and anti-bacterial properties that encourages proper digestion. Bihara is an astringent, tonic, and anti-spasmodic which helps to cleanse and balance the body of allergens. 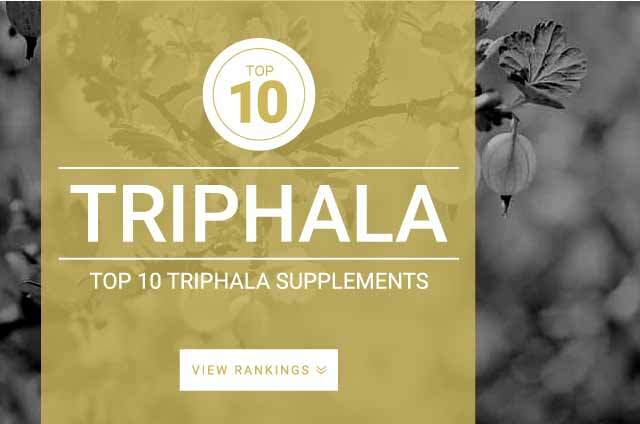 Onlinestrength analyzed 10 best-selling Triphala supplements in the United States. Our analysis quantified the three levels of Haritaki/Harada, Amalaki/Amla and Bibhitaki/Bihara also known as phyllanthus emblica, terminalia chebula, and terminalia bellerica that make up the ‘three fruits’ of Triphala. Samples of every Triphala supplement recorded an equal 1:1:1 ratio of the three fruit extracts. Every product passed all watchlist ingredient tests and contained no artificial flavoring, sweeteners, binders, preservatives, or fillers of any kind. Standard daily dose: 200 mg – 2500 mg.
Research shows that at various doses, Triphala displayed remarkable anti-diarrhoeal activity and gradually improved intestinal transit time of individuals taking a standard daily dose. For the most effective benefits, look for organic, standardized exacts made without the use of pesticides or preservatives; preferably in vegetarian capsules without any fillers, binders, or common allergens.